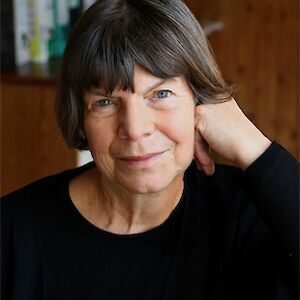 Dame Margaret Drabble was born in Sheffield in 1939 and was educated at Newnham College, Cambridge. She is the author of nineteen novels including A Summer Bird-Cage, The Millstone, The Peppered Moth, The Red Queen, The Sea Lady, The Pure Gold Baby and The Dark Flood Rises. She has also written biographies, screenplays and was the editor of the Oxford Companion to English Literature. She was appointed CBE in 1980, and made DBE in the 2008 Honours list. She was also awarded the 2011 Golden PEN Award for a Lifetime’s Distinguished Service to Literature. She is married to the biographer Michael Holroyd. “An absolute tour de force about old age and dying” – Linda Grant picks Margaret Drabble’s The Dark Flood Rises as one of the best books of the year in the Guardian.